So how do you get better quality sleep? For many people, falling asleep is the tough part. They can’t seem to relax enough for the natural progression of Slow Wave Sleep (SWS) to take place. When we fall asleep, a series of highly orchestrated events puts the brain to sleep in stages. Scientists now have concrete evidence that two groups of cells—the ventrolateral preoptic nucleus in the hypothalamus and the parafacial zone in the brainstem—are involved in prompting SWS. When these cells switch on, it triggers a loss of consciousness. So to get these cells to turn on we can just take a pill, right? Unfortunately, most pharmaceuticals prescribed for this purpose are not ideal. They are either highly addictive (leaving you with a drugged-out feeling the following day), actually lead to insomnia, inhibit critical stages of sleep, or all of the above. So what can we do to coax the brain into SWS more naturally and effectively? 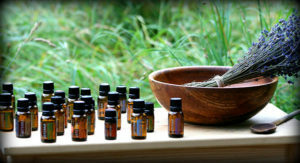 I think we’ve all heard about relaxation and/or addressing anxiousness with aromatherapy. It turns out the processes for getting better sleep and reducing anxious feelings have much in common, especially when it comes to the effects of certain essential oils on the brain. There are copious numbers of scientific papers published on the subject of essential oils and their positive effects on mood. In a nutshell, specific essential oils, which have the natural ability to easily pass through the blood-brain barrier, have a proven calming effect on our brains. In numerous studies, researchers have measured the EEG brain wave patterns of test subjects in the lab (not just anxious rats - humans too!) and have proven that these essential oils slow brain waves down from an excited, wakeful state to the relaxed Alpha, Theta, and Delta wave states that are indicative of SWS. Studies have also shown that repeating this process of slowing our brain waves down leads to what is called entrainment. Basically teaching our brains to flip the sleep switch more easily. Using essential oils to relax before bedtime not only helps us fall asleep on those anxious nights but with repeated use we will get consistent, quality sleep. AND they make your pillow smell amaaaazing! Learn how to get better quality sleep using essential oils. Choose a time in the evening when you’ll begin your nightly routine. Work backwards from the time you want to be asleep by 1.5 to 2 hours. Try to eliminate stimulating activities and electronic screens during this time period. Reading (actual books or non-bluelight e-readers) and/or listening to calming music are great activities to engage in at this time. Minimize your blue light exposure as blue light signals your body that it is morning like a sunrise does. If you tend to use electronic screens right up to bedtime, you can install filtering apps to minimize the blue light content. Also, don’t use caffeine or take vitamins or supplements late in the day that might be giving you extra energy in the evening. Apply essential oils at least 1 hour before bedtime. 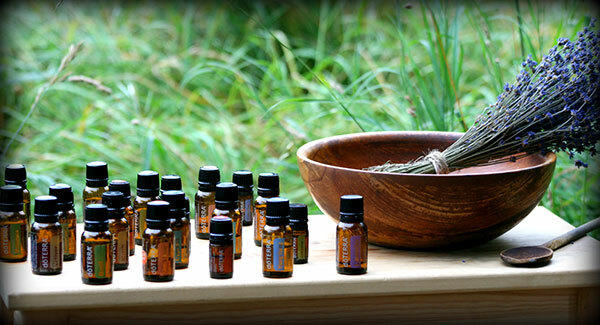 Pure, therapeutic grade essential oils can be used aromatically, topically, and/or internally. Aromatic: The volatile nature of essential oils allows them to be easily evaporated and diffused (with a quality diffuser) throughout a larger space. This is a particularly effective application method for sleep given that a combination of several single oils and/or oil blends can be continuously diffused over time to reinforce procession through the four sleep stages of the brain. A sleep entrainment essential oil blend recipe perfect for use in diffusers is described below. Topical: Essential oils are safely and easily absorbed by the skin allowing you to use a variety of topical application techniques to different parts of your body. Dilute essential oils with a carrier oil, such as fractionated coconut or jojoba oil, massage into the thinner skin of the neck and chest to take advantage of the aromatic qualities of the oils as well. Cup your hands over your nose and mouth and take several long, deep breaths. We use Ylang Ylang in our sleep entrainment oil blend (see recipe below) because it makes this step even more enjoyable. Internal: Whether you are taking soft gels, capsules, or the oil itself, essential oils can be used as dietary supplements. If taking dōTERRA Serenity™ Restful Complex Softgels, take them at least 1.5 hours before bedtime to allow for digestion. Relax, tweak, and repeat. Everyone is as different as their sleep styles. Some people are natural side-sleepers, some are back-sleepers, and some are windmill-sleepers (you know who you are). For many, three or four nights of diffusing the above recipe next to your bed will be enough to re-establish better sleep quality. Others may continue to experience distractions that interfere with entraining the brain to float through these necessary slow wave sleep stages. As you strip away these distractions from sleep, the tougher obstacles become easier to isolate and identify. Also, your sleep routine must fit within your lifestyle so that you can be consistent and it becomes relatively easy to repeat on a daily basis. Do not allow anxiety over your sleep routine be the reason you can’t sleep! :) Relax and pay attention to what may need to be tweaked to optimize your luxurious descent into the land of nod. Lavender: Known for thousands of years as a sleep remedy and for relaxation. Looking for some light reading to make your eyelids heavy? There are literally hundreds of published papers on Pub Med alone regarding the efficacy of lavender essential oil for sleep. EEG studies demonstrate lavender oil inhalation signiﬁcantly decreases alpha 1 (8–10Hz) activity at parietal and posterior temporal regions. The decrease of alpha 1 activity is highly correlated with comfortable state of subjects...which is brainiac for “CHILL”. Ylang Ylang: Subjects of a study in an ylang-ylang oil group rated themselves calmer and more relaxed when compared to subjects in the control group. Chamomile: EEG studies show signiﬁcant changes of alpha 1 are observed after the inhalation of chamomile as well as sedative effects including positive effects on anxious feelings and self-esteem when applied during Aromatherapy massage. Birch: EEG studies confirm Birch odors cause significant theta wave increases in subjects’ brains when smelled, which was observed to last well beyond the initial stimulus. Sandalwood: Studies demonstrate significant sedative and relaxation effects as well as positive response to its smell (everyone seems to love the smell of Sandalwood).